In a classy move, NBA commissioner Adam Silver announced that Mavericks forward Dirk Nowitzki and Heat guard Dwyane Wade have been named as special team roster additions for the 2019 All-Star game in Charlotte. In honor of their extraordinary contributions as iconic NBA champions and beloved ambassadors and in recognition of their All-Star careers, Nowitzki and Wade will take the court for the 68th NBA All-Star game to be held on February 17. "Dirk Nowitzki and Dwyane Wade embody the best of the NBA: remarkable skill, drive and professionalism as well as a deep devotion to strengthening their communities and growing the game around the world," said Silver. "As a global celebration of basketball, our All-Star game is an ideal setting to salute these first-class NBA champions and Finals MVPs." 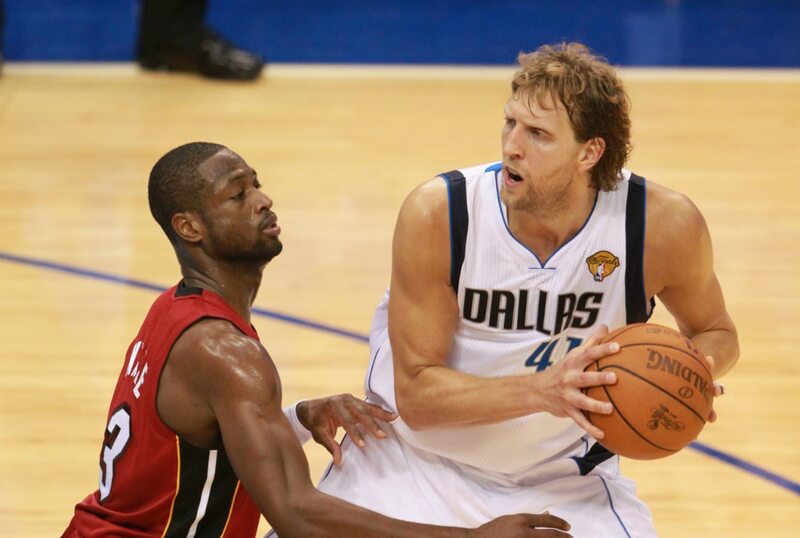 Nowitzki and Wade will be selected in a new third round of the 2019 NBA All-Star Draft, adding a 13th player to each of the two All-Star teams. Team captains LeBron James of the Los Angeles Lakers and Giannis Antetokounmpo of the Milwaukee Bucks will select the remaining eight All-Star starters in the first round, the 14 reserves in the second round and then Nowitzki and Wade in the third round. Team LeBron will make the first pick in the first and third rounds and Team Giannis will have the first pick in the second round.